Last updated on August 7th, 2018 at 09:14 pm. Hello all! Today I have a very special post for you. I’m excited as I am honored to have been nominated for this award twice! 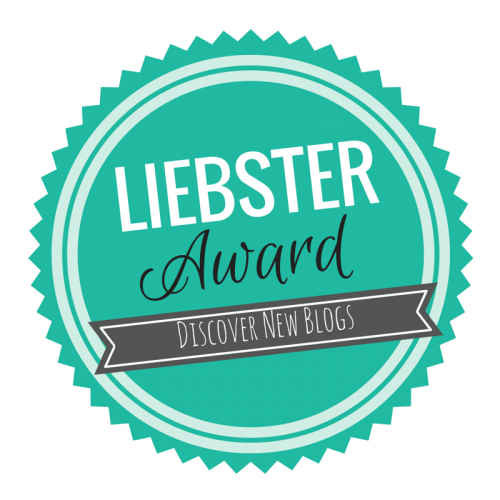 The Liebster Award is an entirely community-driven award intended to recognize new bloggers. Mostly it is a nice way to grow our audiences, while at the same letting you get to know us better. Tyler Belle is a lifestyle blog by Janita. She has already created a ton a great content – and a lot of it has even been very helpful for me! You should definitely check out her site if you haven’t yet. Money Saved Is Money Earned is a personal finance blog headed up by Tawnya and Sebastian. I really liked their recent post on what you should spend money on – not something we often talk about in the PF community. Thanks so much to both of you! Since I was nominated twice, I decided to combine both nominations into one post. Thank the person who nominated you and post a link to their blog! Nominate between 5-11 blogs that you feel deserve this award. List the rules on your post. Now, I will be answering questions from both bloggers since I am combining both nominations. Okay, so let’s get to it! Originally from Chicago, I have lived in five states: IL, WI, PA, SC, and now NC. I was born with bilateral clubfeet (this means both feet were affected). I had three corrective surgeries and can walk and do most things anyone else can. I have three older sisters and no brothers. Don’t worry – my sisters have always been nice to me – mostly! Hah. Despite having been all over the US, I have never left the country (other than Niagara Falls). I am planning to start travelling internationally either this year or next year at the latest. I attended Catholic schools from 1st grade all the way until I graduated from college. Now you know why I had so much debt! Related to #5: I originally intended to enroll at the University of Illinois, but they rejected my application. That was one of the main reasons I ended up at Marquette University, where I earned my bachelor’s in IT. I am a huge dog lover but I don’t have a dog currently. I’d like to get one someday. I am big supporter of environmental sustainability. I bring reusable bags to grocery stores and am always looking for ways to cut back on waste. I am pretty much a self-proclaimed nerd. So I guess it’s not surprising that I love learning about astronomy. Another thing I love learning about is world cultures. That’s one of the main reasons I really want to travel to other countries. I think it’s absolutely fascinating learning about people in other countries and how different their lives are. And now to the next part – questions my fellow bloggers asked me! My real name is Robert (Bob) Haegele. My hobbies are pretty typical for the most part – hiking, kayaking, exploring new places, and gaming. 2. Has your personality or confidence changed in any way since starting your site? I feel like my confidence has improved. I mean, look at this award I was nominated for! The support I’ve gotten from other bloggers has been amazing already, and that has definitely helped. 3. What post of yours are you most proud of and why? I would say my post about paying off my student loans – because, simply put, I consider that one of my biggest accomplishments so far. That’s a tough question. In the context of this blog, it’s probably the idea of never being able to reach financial independence. That is extremely important to me! 5. If you could travel to any place in the world for free, where would you go and why? At the moment, that is probably Scandinavia. The “free” part is key here, because those countries are pretty expensive. But they align with a lot of my beliefs on things like environmentalism, and I would love to absorb some of that culture. 6. What is your biggest accomplishment in life? See #3! I honestly think paying off my student loans is huge, especially in today’s economy. 7. What is your greatest challenge in life? How are you overcoming it? Moving to a new area can be great, but it can also be very challenging. I didn’t know anyone here, and making friends in the area has been hard. I am trying to overcome that by going to more Meetups and interacting with the locals as much as possible. 8. If you were given a million dollars, how would you spend it? I would invest it. What can I say – this is a personal finance blog after all. My favorite movie is probably Forrest Gump. I’m not a movie connoisseur or anything, but I just love that movie. I always come back to Michelle Schroeder-Gardner for this one. I don’t know that I will ever be as successful as she is, but she is definitely an inspiration! 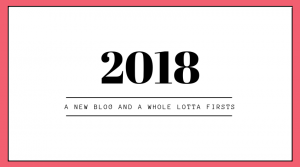 I originally started a blog in early 2018 before switching focus to this one. Either way, it’s only been a few months! 2. What led you to become a blogger? I have always enjoyed writing, and I wanted an outlet for that. I became much more interested in personal finance after paying off my loans, so it just made sense. 3. What are your short and long-term blogging goals? Short term I am trying to grow my audience. Long term would be possibly making it a source of income, though I’m not assuming I will be able to quit my job or anything like that at this point. 4. 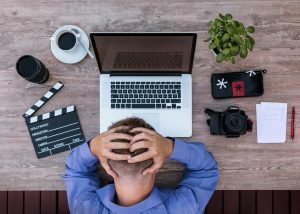 What do you know now that you wish you’d known when you started blogging? Recently I had some issues with my host. I don’t want to go too deep into the details right now, but I wish I had looking into hosting providers more before starting, because so much hinges on that. If you are considering starting a blog, be sure you do your own research on hosting options! 5. What is your favorite blog post and why? I’m an analyst who develops and supports my organization’s electronic medical record. 7. If you could go anywhere in the world and money wasn’t a factor, where would you go? 8. What is your favorite thing to do in your down time? Probably going to cool outdoor places – especially ones I’ve never seen before! 9. If you could meet any famous person (living or not) who would it be? As a skeptic and an astronomy nerd, that would probably be Neil deGrasse Tyson. 10. What is the #1 piece of financial advice you would give to someone? Don’t bite off more than you can chew. For me, this mostly applies to loans. Do your own research and if it is a really major loan like a mortgage, it may be wise to meet with a financial adviser. 2008 showed us just how bad things can get when people take on loans they can’t handle. This is extremely important! What have you learned that can help people who want to start a blog? If you could visit any time period in history, which one would it be and why? Once again I want to give a huge thank you to Janita from Tyler Belle and Tawnya from Money Saved is Money Earned. Y’all rock! I am so grateful for all the support I have already had. …and I can’t wait to hear from my nominees! Your posts are quite informative and a great read. Very well deserved award.